Invisalign™ is a modern appliance system that allows patients to have a virtually invisible treatment option for your orthodontic care. Invisalign™ is a custom made series of plastic trays, or aligners, that the patient wears over their teeth. You place the aligner in yourself and each aligner has a specific amount of tooth movement built in. Every patient has a customized treatment plan that we design specifically for you and your orthodontic needs. If you are interested in Invisalign™, you have come to the right place! Strickland Orthodontics is the leading Invisalign™ provider in south Alabama and has the experience and knowledge to help you achieve your best smile. Invisalign™ can be used for simple rotated teeth to very complex treatments that also require jaw surgery. Even if you have been told that you may not be candidate for Invisalign™ but are interested, we may be able to make it possible. What does it mean to be a Premier Preferred Provider? Invisalign™ will recognize orthodontists that have shown exceptional rates of success with their product by identifying them as Premier Preferred Providers. 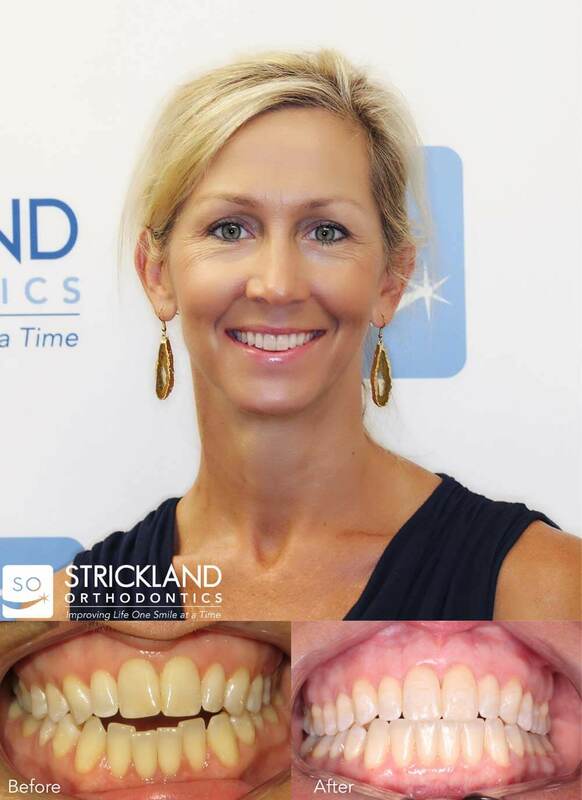 Dr. H. L. Strickland has been very successful with minor to very complex orthodontic treatments using Invisalign™ and is the only Premier Preferred Provider in Baldwin County or Mobile County, AL. You can rest assured that you will be getting exceptional results with your Invisalign™ treatment at Strickland Orthodontics! Is Invisalign™ right for me? Have you been interested in straightening your teeth, improving your smile or fixing your bite but lack excitement about having traditional fixed braces? While Invisalign™ treatment does require a greater level of patient compliance and responsibility, it can be a great choice for many patients. Schedule your complimentary consultation and we can draw on our experience and discuss if Invisalign™ is the best treatment option for you or your child. Yes! Invisalign™ has been used to provide orthodontic care to over 3 million patients! While Invisalign™ is a type of orthodontic treatment, it is also very different to traditional treatment options. Experience is very important in being able to use Invisalign™ effectively to achieve your best smile. 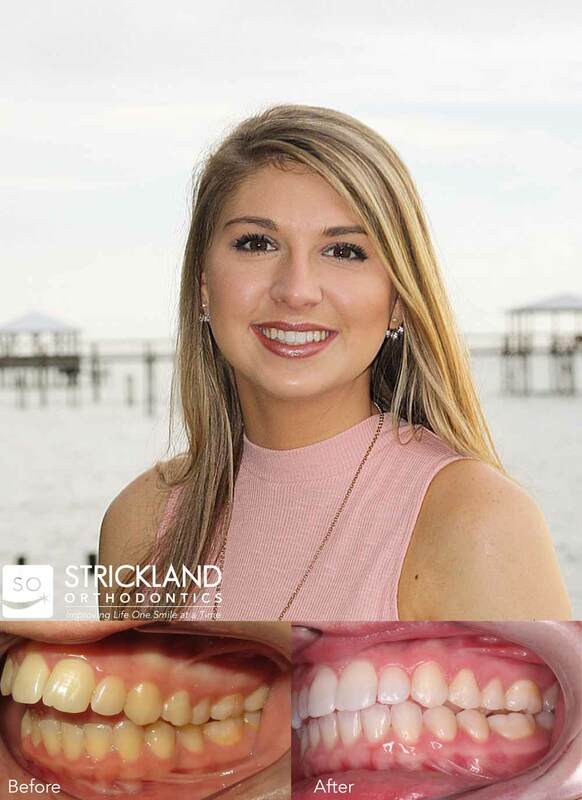 Strickland Orthodontics is the leading Invisalign™ provider in south Alabama and we would love to use our expertise and experience to allow you the option of Invisalign™ to achieve your Strickland Smile! What advantages does Invisalign™ have for my smile? You can have a healthy and beautiful smile with minimal impact on you appearance and life style. No dietary restrictions! You can still eat whatever foods you enjoy and won’t have to take a break from delicious whole apples and raw carrots! Special occasion? No problem! You can remove your “braces” when you want and for special occasions. Virtually invisible! Even with the aligners in, many of your friends and family will not notice that you are in orthodontic treatment. Better oral healthcare. Invisalign™ allows you to brush and floss your teeth normally. It is easier and takes less time to keep your teeth and gums healthier. More comfortable. Aligners consist of smooth, comfortable plastic that is less likely to cause irritation or emergency visits. Emergencies? No, thank you! Because the aligners are smooth and do not glue to your teeth, there is very little chance of having irritation or anything coming loose. Keep enjoying your life and any sports without the worry of unscheduled appointments. More Convenient! Invisalign™ has less impact on your busy schedule because we will only need to see you once every 8 to 10 weeks, which means missing less work and school. Increased efficiency. Because each tooth is moved independently of the other teeth, some treatments can actually be treated with Invisalign™ faster than traditional braces. Invisalign was great for me. It was life changing. I feel so good when I smile now. It’s cool because you can watch the transformation. Just wear them EXACTLY like you’re supposed to and you’ll get the results you want…I know I did! My experience with Invisalign and both Dr. Stricklands was the best decision I could have made. I was amazed at how fast my teeth straightened and confidence grew and how much more I smiled. My only regret is that I didn’t do this sooner. Thank you so much to both Dr. Stricklands for giving me a beautiful smile I didn’t know I had, and confidence I will take with me forever. I am thrilled with my invisalign results and smile! Before invisalign, my only option to correct my open bite was surgery. Dr. Strickland was able to use invisalign to close my open bite and I have a much more confident smile! Thank you so much to both Dr. Stricklands! One of the best decisions I’ve ever made! My invisalign treatment with Dr. Strickland made my experience easier than I would have ever thought…SO thankful! 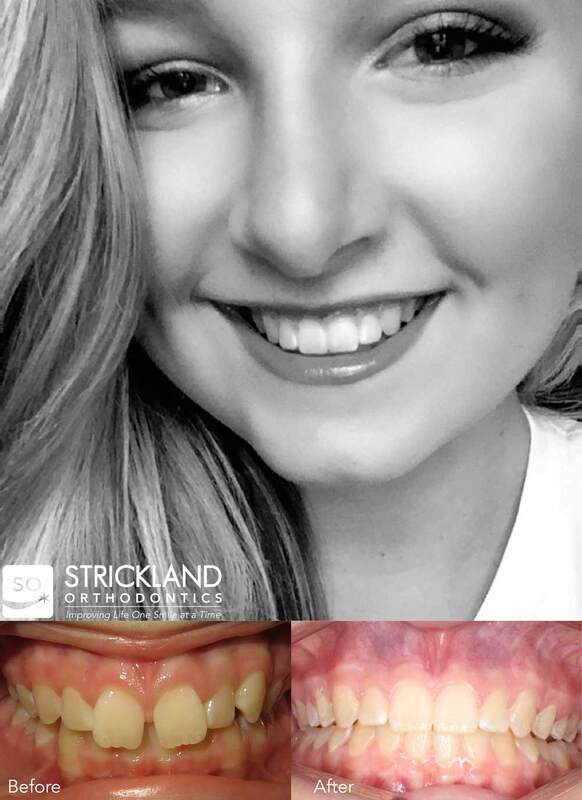 This decision to have invisalign treatment with Dr. Strickland combined with great results have paid off! No more discomfort and a nice smile is an added bonus! I felt a little silly at my age going for a new smile but I love the results and I am so proud of my new healthy younger looking smile! I am so glad I made this decision! Dr. Strickland Has taken years off my life! Mentally and physically. I am now complimented on my beautiful smile all the time! Thank you.